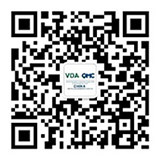 VDA QMC China has devoted to build the best practice platform for quality in China,so we held this regional conference to help automotive quality personel exchange the information of updated standards and hot quality issues. This conference was so welcome and more than 150 participants took party in it. VDA QMC China GM Mr. Tilman Tillmann brought the greetings. Mr. Tilman introduced the changes and challenges in the automotive industry today, and how we could face the situation. The updated information about IATF16949 and VDA6.3 transition period, PSD and PSB, VDA QMC China new trainings and next events in 2018 were shared to participants in Mr. Tilman's later speech. VDA QMC China, Regional Manager Ms. Lijun Songintroduced our new Shanghai Office. New FMEA standard aligned of AIAG and VDA FMEA that attracted much interest by the participants. Dietz Consulting China, General Manager Ms.Lassie Li gave a brilliant speech to explain how to develop 6 steps of FMEA by using a computer mouse for example. "Who is your best supplier?" "How many percentage of the suppliers have the same level with your best supplier?" "How do you plan to improve your supplier base?" Hella China, China Supplier Quality Director MrJacky Huang began his thought-provoking speech with these 3 questions. Mr. Huang shared his valuable experience of supplier management from 3 sides of role and responsibilities, effective guideline and mindset. Before his speech, VDA QMC China, Project Manager Automotive SPICE Mr. Xiaogang Tian played an impacting video to show the importance of applying Software Process Improvement and Capability dEtermination. Mr. Tian introduced 5 steps of SPICE assessor capability training and the services that VDA QMC China will provide. Formel-D, Director Manufacturing Asia Pacific Mr. Thomas Roesler described how to manage quality assurance along the value chain (from product development - production - after sales) for efficiently reduceing failure cost and staying competitive when necessity is rising. In the end of his speech, Mr. Roesler summarize a word "Quality is not an act, it is a habit" that was very thought-provoking. Bosch China, China Corporate Quality Management Region Senior Manager Methods and Qualification Mr.Liqiang Dongshared the practical experience that how BOSCH China plan and set up an integrated inspection planning process according to the customer's expectations.